Shoes can do more than help us get to our destination and compete in our favorite sports. 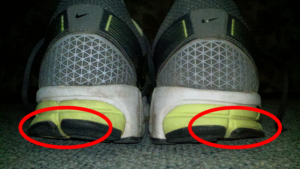 The wear pattern on the bottom of your shoes could be telling you something is wrong. Dr. Stratton says for runners who put in a lot of mileage, Newton’s law of equal and reactive forces pushes three times your body weight through your foot compared to walking. At this rate, it’s only a matter of time before your bones, ligaments, and cartilage break down. To get to the bottom of it, start by looking at your shoes. With a healthy foot pattern, your shoes would have wear on the middle of the heel. Someone with overpronation shows wear on the inside edges of the heels and balls of the feet. This is common among people with flat feet. A flat arch causes your foot to roll in under your body weight. People with supination have wear on the outside edge of the heels and balls of the feet because the arches are raised too much. Wear on the side of your big or little toe is a sign of a wide foot. What are the health indicators? Having overpronation can lead to tightening of the calf muscles and inside swelling of the ankle joint. This foot pattern can also lead to hip pain, tendonitis, and soft tissue damage. 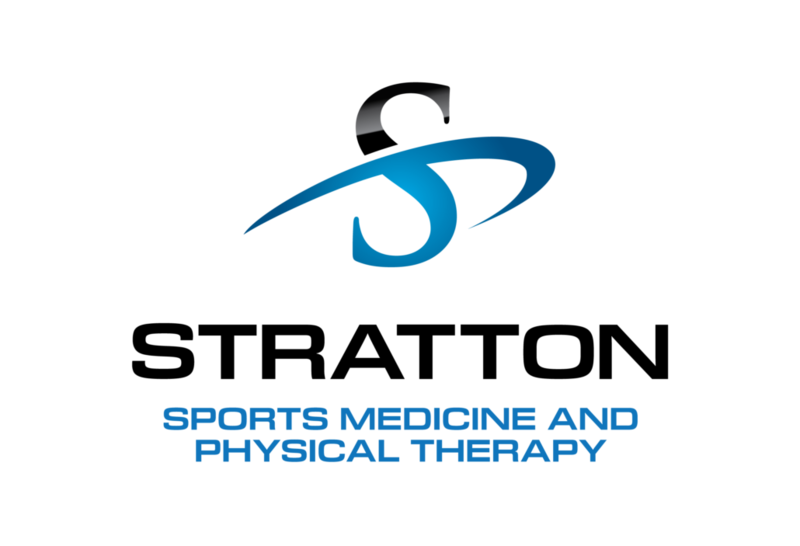 Supination can cause ankle sprains, worn-down knee cartilage, and bone injuries. When your body weight falls unevenly on your big or little toe, the joints become unstable and can cause bunions and ingrown toenails. Orthotics (removable devices worn inside shoes) can correct your foot movement, reduce injury risk, and relieve pain by adding extra support and shock absorption when you step. If you are experiencing any uncomfortable or painful symptoms or want to know if orthotics may be right for you, schedule an appointment today. We can help you learn about proper foot support, shock absorption, and balance structures for optimal and efficient walking patterns to help you live pain-free. Do you dread taking that first step out of bed in the morning because of the foot pain and stiffness in your achilles? You may be suffering from plantar fasciitis. If this is you, then you are most definitely not alone because well over two million Americans are now believed to suffer from this debilitating foot pain. Strictly speaking, it is foot pain caused by the swelling in the wide plantar fascia ligament, which runs underneath the arch of the foot, joining the heel bone to the toes. This ligament stretches and relaxes back with every step. When young and well nourished, the plantar fascia copes well with excessive stress and springs back quickly. But over time, the accumulation of excessive stress damages it, causing little rips to form. The sites of these small tears become inflamed as they continue to be stressed, ultimately leading to severe foot pain at the site of the rips. The short answer is, anyone can. However, because the damage to the plantar fascia happens over time, middle-aged people and people who place a lot of stress on their feet, by continuous standing, running, jogging, walking or jumping, by wearing inappropriate shoes or lack of quality inserts for long periods and people who carry excessive weight (including pregnancy), are most likely to suffer this condition. These people include athletes, joggers, teachers and anyone who delivers door to door. However, simply because they fall into a few risk categories, the most susceptible people are middle-aged women. There are several contributory factors which can work individually or collectively to cause foot pain. As you move your feet roll inwards slightly. This is pronation, and it is a natural part of the movement of the foot. However, some people overpronate, which means their plantar fascia is abnormally stretched during motion. This excessive stress causes the damage which ultimately leads to plantar fasciitis. In addition to poor arch support, the amount of weight carried by the foot arch and strength deficits in the intrinsic muscles of the foot can cause plantar fasciitis. The more weight a person carries, the more stress the foot arch is under and the more likely that problems will arise. The heel is also unduly stressed by excessive weight. This is why pregnant women can often experience significant foot pain which diminishes or disappears completely after giving birth. Dr. Stratton studied and wrote his doctoral dissertation on plantar fasciitis. With his specific stretches, modalities and strengthening exercises most everyone (no matter the age or weight) can improve, find relief and recover from plantar fascia pain with physical therapy at Stratton Sport Medicine & Physical Therapy. Give us a call at 602-284-550 or schedule now for quick relief and get on the road to recovery from foot pain.